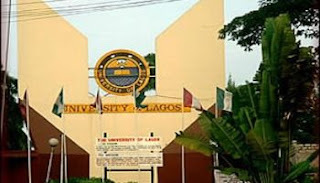 Unilag 2018/2019 Post UTME form is out. The form costs N2000. Candidates who chose Unilag as first choice in the 2017 Jamb examination and had a score of 200 and above can apply. In addition, candidates must be sixteen years of age by 31st October, 2018 and must possess five credit passes at one sitting in relevant O/level subjects including English Language and Mathematics. Registration will begin 2018. The Post UTME aptitude test will hold between 2018. 1. Candidates who do not participate in the Post-UTME Screening will not be considered for admission. 2. Candidates are advised to adhere strictly to the guidelines and obtain necessary clarifications. 3. The University has zero tolerance for drug abuse, any student found wanting shall lose his/her studentship.